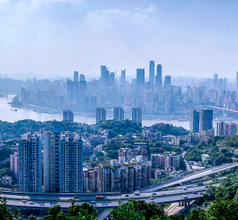 Chongqing is a typical self-governed metropolitan city in China just like Beijing, Tianjin, and Shanghai. It is located on the confluence of the Jialing River with the mighty Yangtze. It is a major transport hub and is one of the departure points for the famous Yangtze River Cruise liners. Therefore, Chongqing City is the access point to visit the UNESCO World Heritage Sites in the magnificent Three Gorges region. 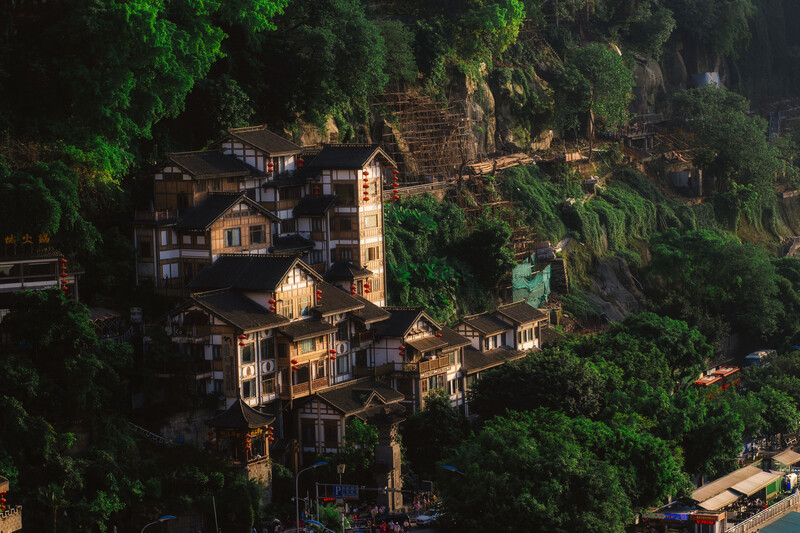 The area surrounding Chongqing City is a mixed bag of small towns where one can witness dance performances of ethnic minority groups and quaint villages that look like they belong to an era that existed 3,000 years ago! 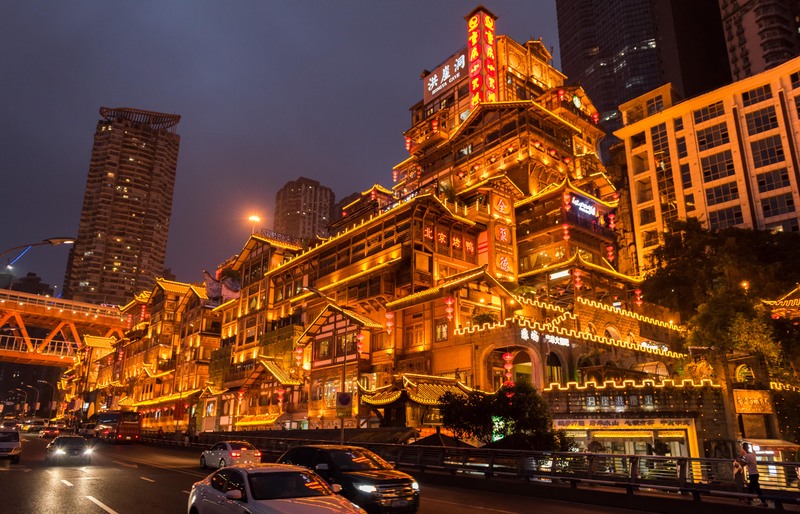 This beautiful juxtaposition of ancient cultures and modern amenities make the city of Chongqing one of the most popular tourist destinations in China. 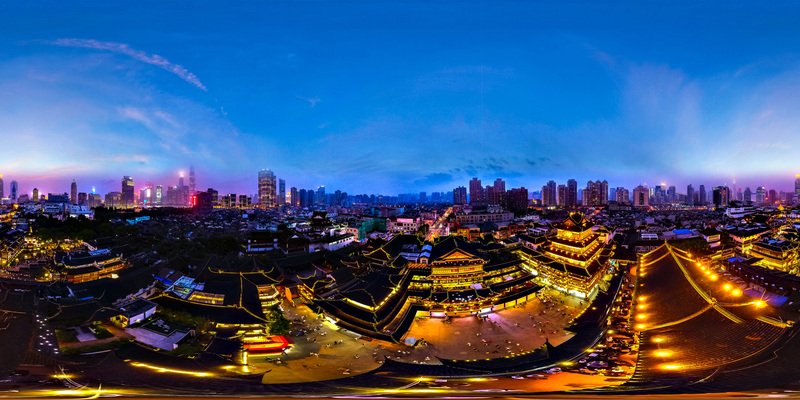 Chongqing City has a 3,000 years old history of battles and conquests. In the 11th century BC, the city was ruled by the State of Ba and by 316 BC it was conquered by the State of Qin. The Southern Song Dynasty ruled in the 11th and 12th centuries AD. 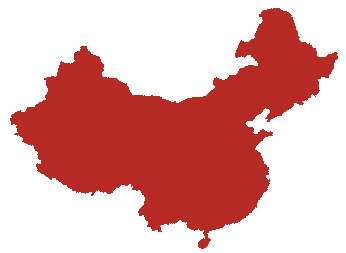 During the downfall of the Ming Dynasty in the 17th century, the population of the city was affected in a major way due to a large number of immigrants from the Sichuan Province. 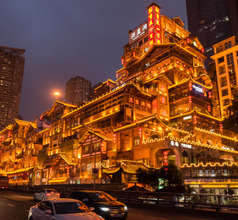 Every change in the history of Chongqing has left its mark in the form of beautiful ancient monuments, temples, historical relics, and colorful ethnicities. 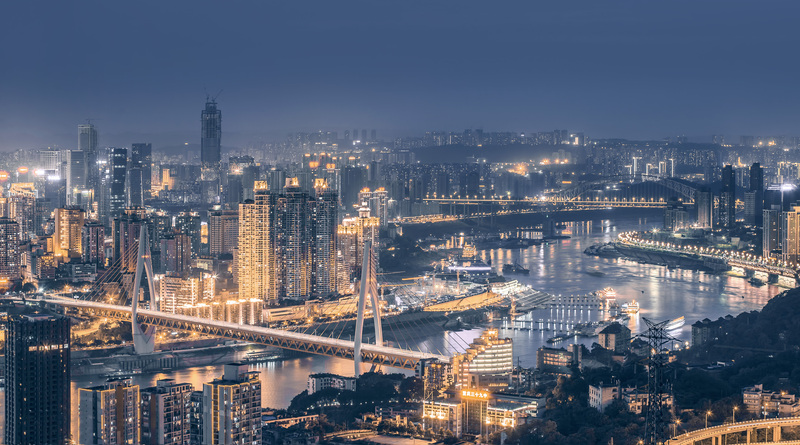 Today’s Chongqing City is a sprawling industrial and commercial hub with a well-developed infrastructure and tourist facilities. The city is dotted with skyscrapers, gardens, amusement parks, historical relics, Buddhist temples, museums, recreational centers, shopping malls, as well as old-world marketplaces where one can get the best souvenirs and local snacks. 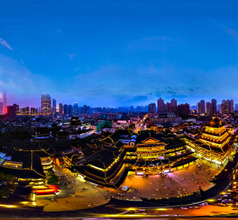 A visit to the Hong Ya Dong, a recreation of the old Chongqing town on the slope of a hill will be a great experience. 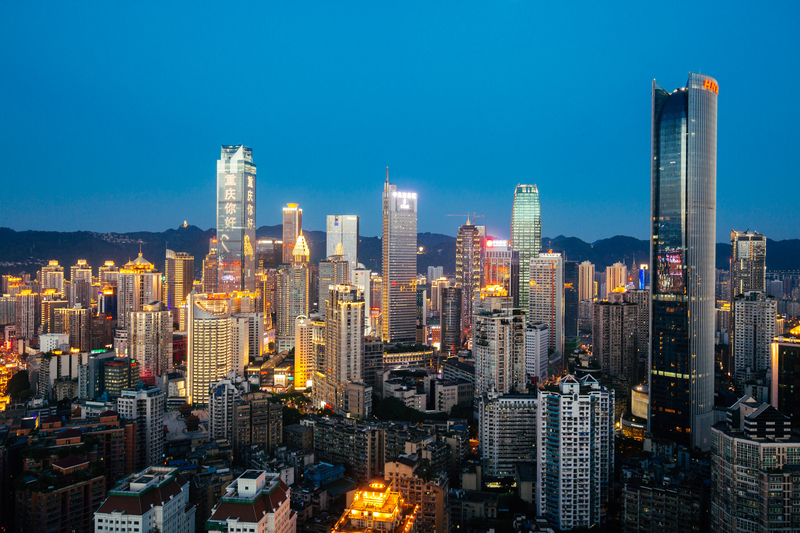 Every year the number of domestic and overseas visitors to Chongqing City keep increasing. This has led to the establishment of some of the best luxury hotel brands setting base in downtown Chongqing. They are tastefully decorated and offer various amenities to ensure that every visitor to the city has a pleasant and memorable experience. There is a choice of 2, 3, 4, and 5-star hotels, low-priced hotels, inns, guesthouses, youth hostels, service-apartments, etc. The English language may cause a problem if one opts for the lower priced accommodation. But this problem can be easily solved by carrying a suitable dictionary or downloading a voice-based mobile translation app. 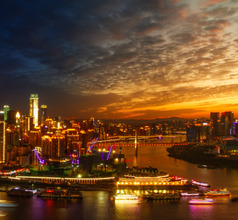 Going on the Yangtze River Cruise is the most common reason why overseas tourists visit Chongqing. There are short trips of 3-4 days, some of which go upstream and some go downstream on the Yangtze River. Then there are cruises that last for 10-15 days and cover most of the treasures of the Three Gorges Scenic Area. 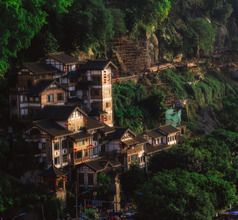 Chongqing City also has its own noteworthy tourist attractions. The Residence of Zhou Enlai is a very popular tourist attraction. Zhou Enlai was a proactive member of the Communist Party and was well respected. His residence is now a beautiful museum and is open to the public. Other memorials and monuments of local celebrities include the Joseph Stilwell Residence (who helped China during the Anti-Japanese War) and the Song Qing Ling's Residence (a home of three sisters, two of whom married Dr. Sun Yat-sen and Chiang Kai Shek respectively). The Three Gorges Museum is another must-see in Chongqing. It is a treasure-trove of relics dating back to the Ba and Yu Cultures (Stone Age and Bronze Age), relics found in the Three Gorges regions, and artifacts showcasing the city’s participation in the Anti-Japanese War. 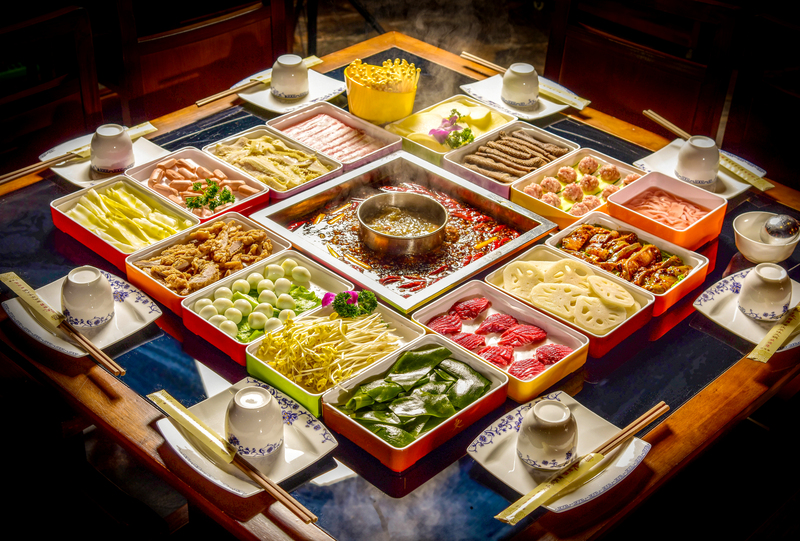 There are vast collections of chinaware, ancient coins, and items made of jade and silk. 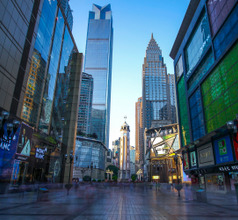 While in the city, one must not miss spending at least a day in the area called Chongqing Jiefangbei Pedestrian Street. This tourist attraction is dominated by a 27.5-meters tall People’s Liberation Monument of Victory. 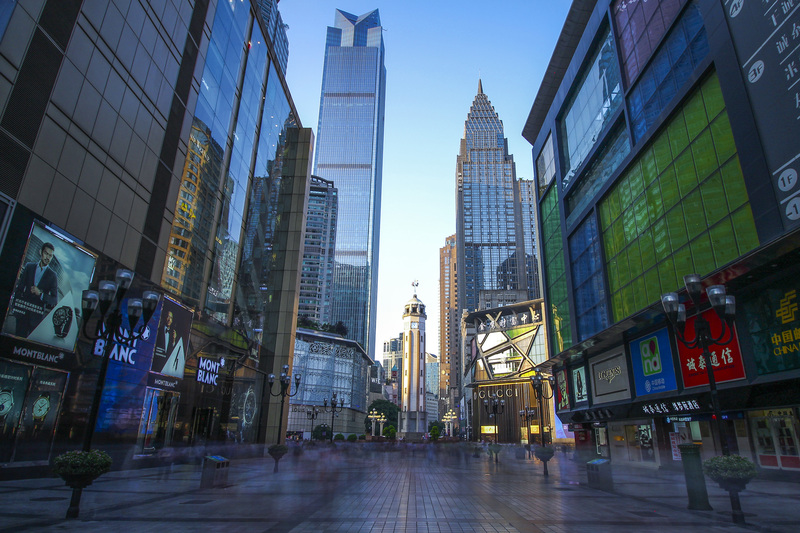 The pedestrian square covers an area of 24,400 square meters and is one of the largest shopping areas and food streets in China. The pedestrian area consists of more than 24 large shopping malls, star-rated hotels, banks, recreational centers, entertainment zones, multiplexes, and more than 3,000 shops. The Hua Yan Temple Tourist Spot is also a great place to visit. This attraction consists of an artistically designed Ming and Qing-style temple where there are finest examples of Buddhist statues, calligraphy and carvings. Chongqing Rail Transit (CRT) refers to the urban rail transit service in Chongqing metropolitan area of Chongqing. Its first line opened its sightseeing operation in November 6, 2004 and opened its operation formally in June 18, 2005. It is the first urban rail transit line in Western China. As of December 2017, there were 6 rail transit lines in Chongqing, including 1, 2, 3, 5, 6 and 10 lines (including the national Expo line and the airport line). The line network covered the whole area of the main city of Chongqing. There were 154 stations and 13 transfer stations, with operation mileage of 264.3 km, the length of mileage in Central China sixth, the first Midwest. Among them, the 1, 5, 6 and 10 lines are the subway system, a total of 149 km; the 2 and 3 lines are monorail systems (straddle type monorail), with a total of 115 km. As of December 2017, there were 8 lines in the construction of Chongqing rail transit, including the first, the No. 5, the No. 6, the No. 6 line, the two, the 9, the two, the loop and the extension (the 1 line tip and the 5 line) and the construction mileage of 201.9 km. By 2020, the estimated operating mileage was nearly 5. 00 kilometres; a total of 18 lines. In 2016, the average daily passenger traffic volume of Chongqing rail transit was 1 million 899 thousand and 700 times, and the highest daily passenger volume was 2 million 618 thousand and 200 times. In 2015, its annual passenger volume was 630 million times, and the average daily passenger volume was 180 times. Chongqing Rail Transit Line 2 is the first single Straddle Monorail in China. It is also the first urban rail transit line in the western region of China. Its train is famous throughout the country because of its train in Li Zi dam station. Located right in the heart of Chongqing and next to the Yangtze River, Chongqing Railway Station was once the most important railway station in the city. These days it serves mainly long-distance low speed trains. Take the steepest escalator in Asia and you can reach the Metro (Line 1 and Line 3) within a few minutes. This station has now largely been superseded by other stations in the city. With a total of 26 platforms, this station in the city's northern suburbs handles both high and low speed trains. It's well connected to the city via Metro Lines 3 and 10, and the under-constuction Line 4. Most high speed trains from the east of the country, e.g. Shanghai, will pass through here. This new high-speed railway station was opened in early 2018, and includes trains on major routes such as Chongqing-Guizhou, Chongqing-Lanzhou, Chongqing-Kunming and Chongqing-Chengdu. Metro Lines 5 and the Loop Route will pass through here once completed. A small train station in the city's western suburbs serving mainly regional trains. It is connected to Metro Line 1, as well as the under-construction Line 9 and the Loop Route. It was completed redeveloped and reopened in 2018. Chongqing Jiangbei International is the 9th busiest Chinese airport. With 3 terminals (one closed for upgradation), it is a well-planned, modern airport with good connections country-wide as well as direct flights to major hubs in the world. Almost 200 weekly flights go to Guangzhou, Shenzhen and Beijing. Dedicated airport shuttles and subway line 3 in Terminal 2 take about an hour while taxi costs approximately RMB 50 and takes 30 minutes to get to downtown. 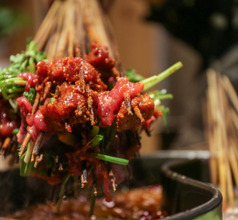 Although Chongqing City is governed independently and is not a part of Sichuan Province anymore, its cuisine has still remained typical Sichuan or Schezwan-style. 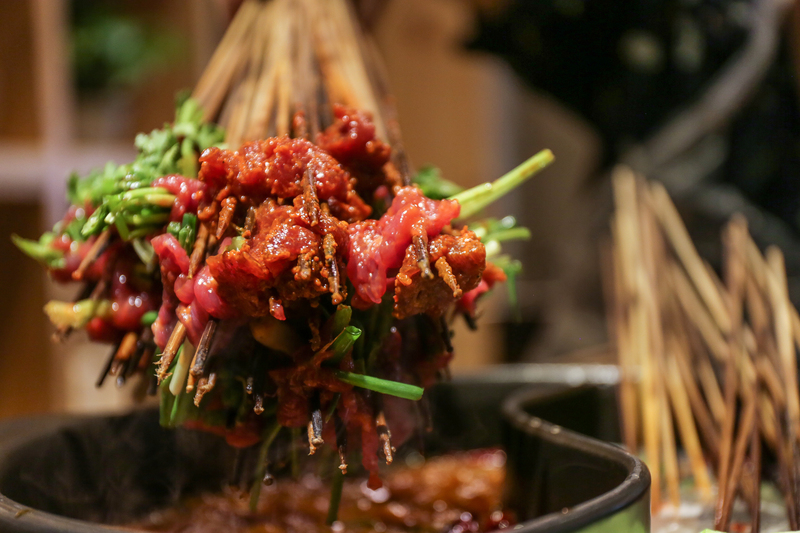 Their food is spicy because they use red chilies and bell peppers in most of their dishes. Of course, there are a few eateries where one can ask for the spice to be reduced, especially in the food courts on Jiefangbei Pedestrian Street. 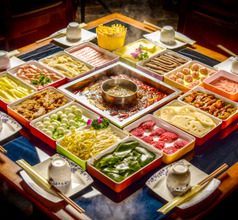 Some of the local specialties of Chongqing City are Fuqi Feipian (Sliced Beef Tripe in Chili Oil With Peanuts), Cold Diced Rabbit With Chilies and Peanuts, Dan Dan Mian (Wheat Noodles with Pork, Chili, Garlic, and Vinegar), Lazi Ji (Chongqing-Style Dry-Fried Chicken With Chilies), Chuanbei Liangfen (Mung Bean Jelly With Numbing-Hot Sauce), Shuizhu Yu, etc. 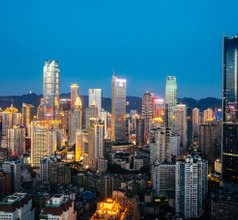 Chongqing is one of the least sunniest places in China. 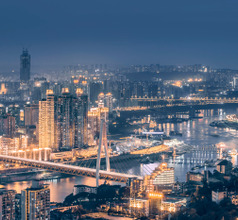 Winters in Chongqing is chilly, but not cold (the average January temperature is 7.9°C), with very little temperature variations. Summers are hot and very humid. Chongqing is actually one of the hottest and least pleasant places in China during summertime. Temperatures almost never fail to reach 30°C.